The perfect way to make sure someone gets exactly what they like! 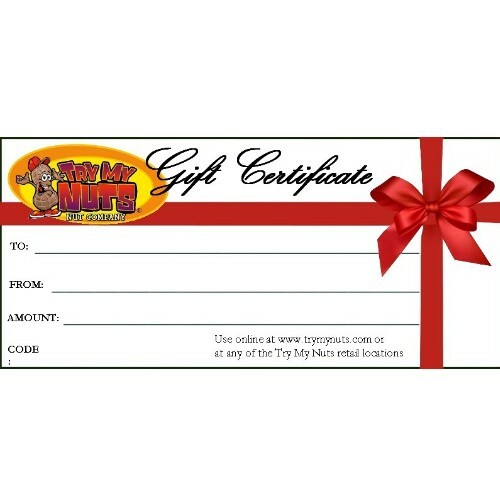 You can have the gift certificate code emailed to yourself or to someone else who can then use it right away at www.trymynuts.com. Be sure to fill out the gift message section and to use the correct email address. *Image of gift certificate is for illustration purposes only and is not the actual certificate that will be received. *Valid only for purchases made through the Try My Nuts website. Not valid for in-store use. 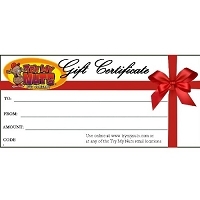 *If you'd like a gift certificate for a certain store location, you must contact that location. *Discounts or promo codes not valid for the purchase of gift certificates.